Patrick C. Barham ’21, a Crimson Editorial editor, is a Government concentrator in Pforzheimer House. Last week, news broke that Winthrop Faculty Dean Ronald S. Sullivan Jr. had been retained to represent Harvey Weinstein, who is facing allegations of sexual misconduct. For those who don’t remember, Weinstein was one of the first prominent figures whose allegations of sexual indecency came to light following extensive reporting by the New York Times and The New Yorker. These allegations against the former Hollywood executive, spanning decades and brought forth by more than 80 women, are serious not just because of the instances themselves but for the underlying issue they represent. Most of the stories brought to light had been rumored around the industry for years; to many, they were a dirty, “open secret” that came with the power dynamics of the film business. But sexual harassment is not exclusive to Hollywood. As the #MeToo movement has unfolded, more and more stories have come out showing the extent and impact of sexual harassment — an impact that reaches college campuses like our own. Women in college are three times more likely to experience sexual violence than women of other ages. But these experiences often go unreported because victims fear they won’t be believed. That’s why it’s crucial for professors, tutors, administrators, and deans to gain students’ trust and for students to know that any adult they go to will treat their experience with the respect it deserves. By representing Weinstein, Sullivan is effectively choosing to believe the word of one man against the stories of more than 80 women — signaling to his House and to every student at Harvard that he is an ally not to the victims, but to the accused. This is true. Under the law, there exists a presumption of innocence. But although the law and justice are blind, we cannot be. As citizens and especially as leaders and mentors, we must avoid playing to a “both sides” narrative and examine the public evidence. Though the law should presume Weinstein innocent, Sullivan is under no obligation to do the same. Yes, Harvey Weinstein, like any other defendant, has the right to retain the best counsel available to him to protect himself against the possible life sentence for which he is being tried. But Sullivan has the right to turn down this client. He should have had the conviction to do so and he should have chosen to stand in solidarity with victims of sexual harassment and abuse. In his email, Sullivan goes on to underline the need for unpopular defendants to have a robust defense, since peer juries can often revert to “mob justice.” Through those words, he is essentially characterizing the #MeToo movement as “mob justice” and discrediting the courage and effort that it took for so many of those women to tell their stories and their search for justice. And if, at times, men feel like claims of sexual harassment and abuse abound, they should understand this is not because of false claims or a “mob” mentality. Rather, it’s because these actions are so widespread and commonplace to the female experience that studies have found that more than 80 percent of women surveyed have faced sexual harassment. When these stories are aired and when those who are credibly accused of such actions are shunned socially and prosecuted legally, it is not “mob” justice. It’s justice long awaited. It is now Sullivan’s job to ensure that Harvey Weinstein receives the lightest possible sentence or is set free, altogether. Like the Kavanaugh confirmation, Weinstein’s acquittal would be one more slap in the face of not only the multitude of women accusing Weinstein directly, but to the millions of other women in the United States who feel like they can’t talk about their own experiences because it will come to no good. It will be a slap in the face to the many women at Harvard who experience sexual harassment and abuse, and to some in his own House. 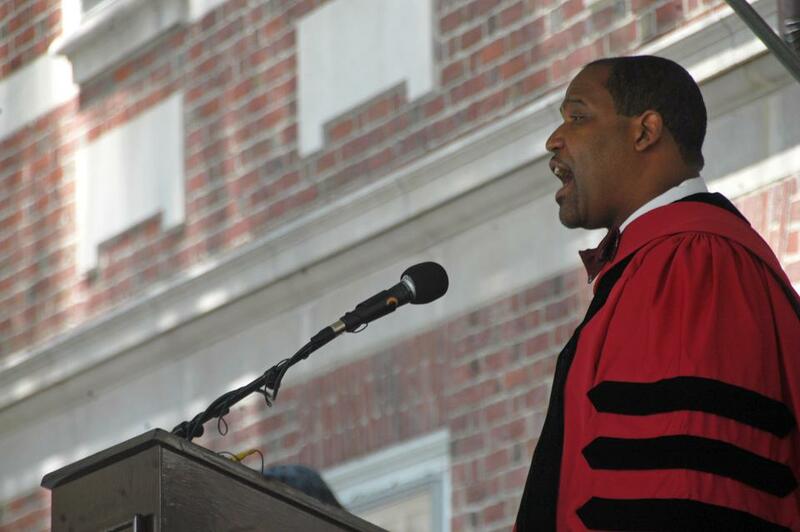 When this case comes to trial, Winthrop Faculty Dean Ronald S. Sullivan Jr. will stand beside Harvey Weinstein, defending him, and inevitably tying Harvard’s name to his defense. That’s not courage and it’s not respect. By standing with Harvey Weinstein, Sullivan is choosing to turn his back on women and undermining his own ability to serve as an advocate and to support his students.